The Montana Family Medicine Residency is supported by a highly competent staff. Clinicians, health professionals, administrators and support staff all work together to not only ensure the best residency experience possible but also the highest quality of care for patients served at RiverStone Health Clinic sites. 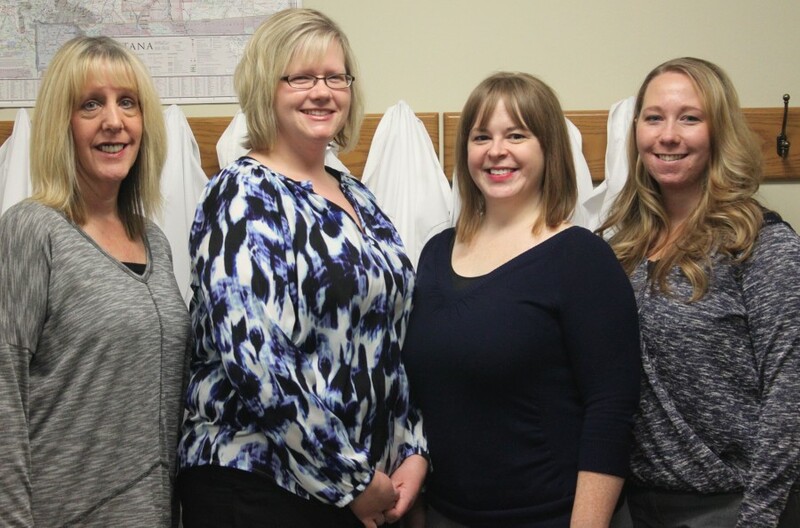 Pictured left to right: Cindy Ness, Lanette Johnston, Jen Bagley, Nichole Bishop.